…And move from struggle to successful adoption. Computers and workstations on wheels (WoWs) were designed to help clinicians spend less time working from nursing-station desktops and more time at the point of care. The reality, however, is that the ideal has yet to be fully realized. 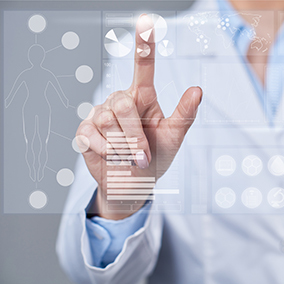 All too often care team workflows remain fragmented because of the need to access patient data and clinical information from multiple disparate health IT technology systems. This fragmentation not only breaks down the fundamental human flow of care, but it also leaves patients with the perception the physician or clinician is more focused on the technology than on them. “There are solutions that help facilitate dialog between clinicians and physicians or patients. However, there are multiple factors that contribute to that success,” said Nancy Beale, MSN, RN-BC, vice president of clinical systems and integration at NYU Langone Health Systems. Below are some strategies to ensure your hospital success. One of the factors impeding mobile success is the complexity of software being used, Beale continued. “If clinicians have to navigate through multiple systems for a single workflow, like an office visit or rounding on a patient, how integrated is the data between systems?” she said. “Also, what are the form factors they’re using to access those systems? Is their hardware placed in a position to facilitate communication between a patient and physician?” Today more vendors provide mobile apps that integrate with the EHR and other clinical communications systems, such as patient monitoring devices, alerts, and nurse call. The goal is to consolidate myriad hard and soft functionalities on one device, so caregivers can return to a natural workflow. Some electronic medical records systems still require access through a WoW or desktop, but in recent years more healthcare organizations have been migrating to tablets and smartphones, which appeal to clinicians’ inherently mobile workstyles. “Being able to use the phone to be fully functional for a workflow without having to add cumbersome pieces that make it heavier and less user-friendly is essential to success and adoption,” Beale said. That includes deploying mobile solutions that can take in verbal information and map to discrete data within an EHR instead of always requiring the clinician to be the heavy-lifter; that is, forcing the user to manually add or extract data from disparate health IT technology systems instead of using an integrated solution that includes voice-enabled dictation. Clinicians have been quick to latch on to mobile technologies because they use them in their personal lives. But consumer-grade systems and devices aren’t always designed for healthcare environments. 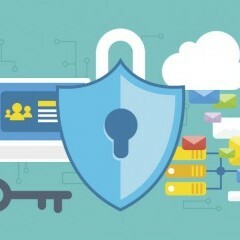 Everything from hardware and accessories that hold up to infection control protocols to HIPAA-compliant messaging and devices must be considered. Simplicity and thoughtful integration are important. It makes little sense to encourage clinicians to swap their so-called fat tool belts for slimmer tablets and phones requiring just as many apps. “In the long term, you want clinicians not to have to navigate between multiple systems,” Beale said. For some organizations, mobile rollouts have been bumpy, and adoption rates are below expectations. This is especially true when clinicians are not included in IT discussions that impact them, or they haven’t received the skill training or heads up on the chosen solution. It’s important to perform usability testing with clinical end users and partner tightly with all stakeholders. 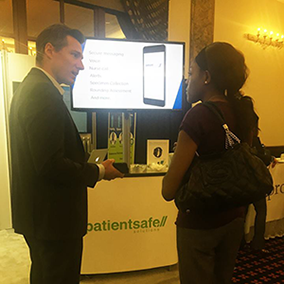 “Hospitals that establish key success measures and glean input from various stakeholders increase their chance for seamless implementation,” explained Steve Baum, Vice President Product Development, PatientSafe Solutions. 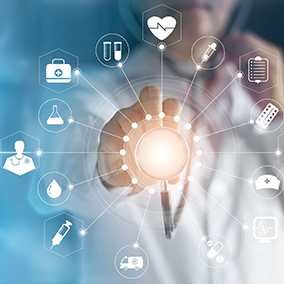 Additionally, deploying mobile health IT technologies that require clinicians to open and close multiple apps and rely on disparate systems instead of one communications platform, impede successful adoption. It’s important for healthcare IT teams to deploy and continually manage applications within a mobile device for greater usability and security. As such, a best practice is to ensure data is never stored on the device to prevent potential patient privacy violations. Accordingly, if the device is easy to use, clinicians won’t be tempted to use unsecure methods to communicate. Reducing the number and size of form factors and unifying myriad applications often yield more efficient communications, collaboration and coordinated care. Providers spend less time adding or extracting data from EHRs and more time talking with patients and families. Selecting a health IT technology system that addresses clinicians greatest needs, is secure and easy to use leads to improved adoption. When well implemented, this more unified mobile clinical-communication approach repairs previously fragmented clinical workflows – and makes for an overall better patient experience. And that equals success.